Travel to galaxies far, far away with the Famous Brandz Snoop Dogg Pounds Spaceship Water Pipe! 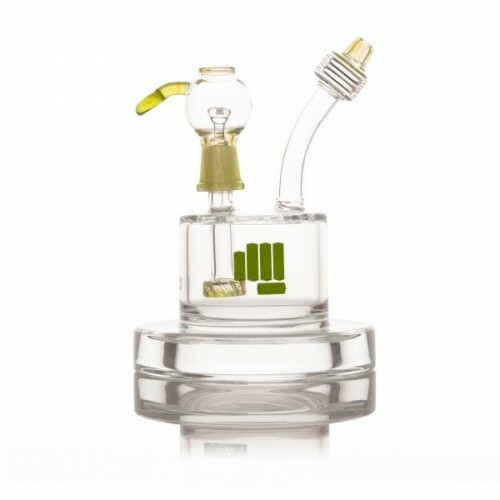 This compact but powerful 6″ handblown beauty is constructed with the highest quality borosilicate glass. 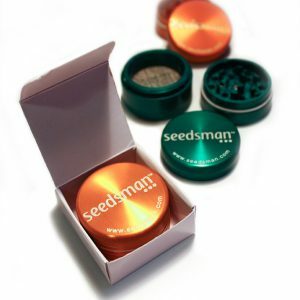 An extra thick launch-pad base keeps your sessions solid while a ruffled percolator diffuses smoke into the water chamber for moisture-conditioned rips. The neck is curved with a nozzle mouthpiece for ergonomic hits. Designed for use with wax concentrate extracts, the Snoop Dogg Pounds Spaceship Water Pipe comes with a quartz bucket, dome, and nail, and a glass tool to empower your galactic journey. Famous Brandz Snoop Dogg Pounds Spaceship has an out-of-this-world design. 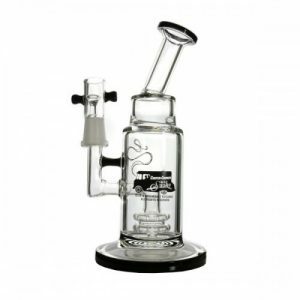 Part interstellar vessel, part percolator bong, the Spaceship offers optimal water filtration for smooth, potent hits. But despite its powerful smoke production, Famous Brandz has opted for a more compact, 6″ design that suits the modern lifestyle. Easy to carry, simple to operate, and travel-friendly, the Snoop Dogg Pounds Spaceship bong is a small but mighty addition to your fleet of glass water pipes. With a unique ruffled percolator that sifts smoke and water through tiny airways to cool and cleanse each hit, Snoop Dogg Pounds Spaceship delivers more potency and less harshness. 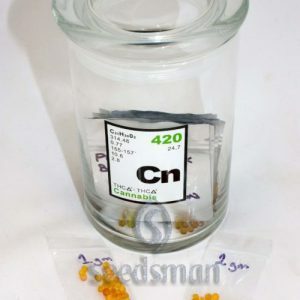 As the pressure from each inhalation pulls smoke from the bowl through the percolator and into the water chamber, irritants are caught in the pool as purified hits continue to rise up through the neck and into the user’s lungs. The curved neck makes it easy to take a hit from Snoop Dogg Pounds Spaceship bong without tilting it or leaning forward uncomfortably. Wax concentrate enthusiasts choose the Snoop Dogg Pounds Spaceship for its ability to extract the most potency and flavor from waxy oils. Fitted with a quartz bucket, bubble dome and nail, along with a glass wax tool, the Spaceship bong features all the right instruments for dab-like hits. The inert quality of the quartz bucket preserves the essential flavors, aromas, and benefits of wax extracts while the glass bubble dome collects huge, dense clouds before they’re sucked into the water chamber to be purified and moisturized. The Snoop Dogg Pounds Spaceship water pipe offers the best in wax concentrate smoking with no shortage of portability and style.